Newbie welders are oftentimes baffled by the amount of choice when it comes to welding supplies and equipment. Knowing which gear offers the most protection, which auto-darkening helm is right for the job, and what type of metal to use are all decisions you’ll have to make at one point. Beginners though, only need to consider a few factors, but once you get into it and have some experience under your belt, you’ll need to understand the more in-depth aspects of your equipment. One of the most important factors for beginners to get a grip on is being able to differentiate between the different types of rods. When looking for welding electrodes for sale, it’s important to know the strengths, weaknesses, and the ideal use of the different rods in order to get the best welds possible. 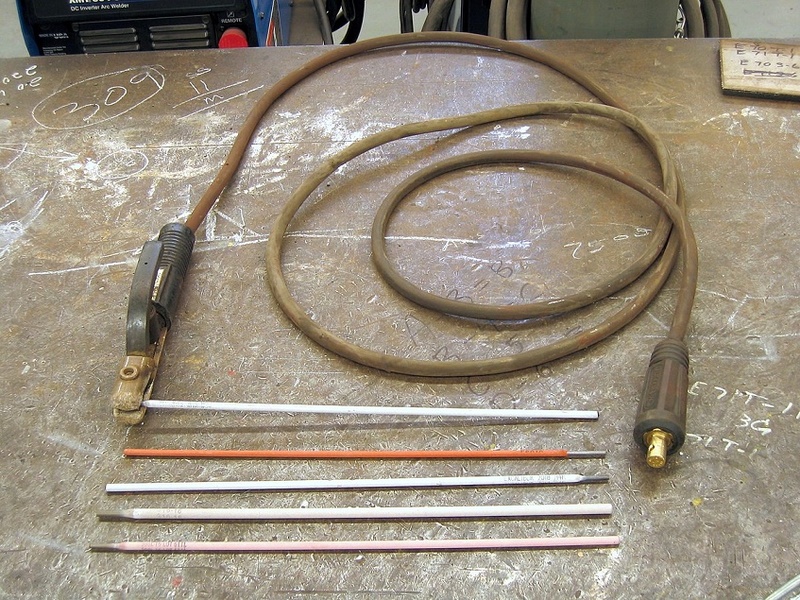 Welding rods are a piece of wire that’s connected to the welder. A current is fed through it which helps conjoin two pieces of metal. SMAW and stick welders use rods that melt, which is why they’re known as consumable electrodes. TIG welders, on the other hand, use rods that don’t melt. But even within these two specific groups, there are many different types and variations. Moreover, when looking for welding electrodes for sale, you’ll come across coated and bare models. The coated models are the most widely used ones, and the coat can be made of various different materials. Picking the right type of rod will impact how clean and strong your welds are. As briefly aforementioned, stick welders typically use consumable rods known as stick electrodes. These feature heavy coated electrodes or light coated electrodes and a shield arc. The light coated electrodes have a thin coating finish that’s applied through spraying and brushing. The coating material is made of a few different materials that are similar to the metals you’re welding. The electrode’s coat increases the arc’s stability, thus making the weld easier and quicker. Moreover, the coat reduces impurities like sulfur and oxides, and the drops of metal at the end of the electrode is more regular in frequency and size, making your welds neater and smoother without producing excessive slag. There are three types of coating, each delivering different results in the welding process. The first type is coating containing cellulose that utilises a gas layer to protect the weld area. The second type utilises mineral substances which leave a slag layer. And the third type is made up of both.